Massachusetts residents who are self-employed or have incomes that change throughout the year may benefit from how the Health Connector eligibility application works. This is because members can sign into their account at any time of the year and update their estimated income if it changes and will update program and financial assistance eligibility. Also, for individuals and families who receive an Advance Premium Tax Credit to help lower their monthly premiums, you have the option to can adjust the amount of the tax credits used throughout the year—up to the maximum amount you are eligible for—as your income changes. This is very important because, when you file your taxes and report your actual income for the calendar year, the advance tax credits you recieved are reconciled and if your true income was higher than your estimate, you may have to pay back the additional tax credits you recieved. But, by lowering the amount of tax credits you use throughout the year as you see your income is higher than estimated, you can lower the chance of having to paying back the difference to the IRS. Who can shop as a business, and who needs to shop as an individual or family through the Health Connector? The rules around shopping as a small business through the Health Connector have changed. If you are the owner of a business that has no eligible employees other than your tax dependents, you will need to shop as an individual or family, instead of as a small business. However, most of the health plans available to small businesses are the same as the health plans offered to individuals through the Health Connector. And, you may be able to qualify for help paying for your coverage through programs that are available only for individuals and families. Are there different ways to get help paying for health insurance? Yes, when you apply, you will be able to find out which programs you can qualify for. The three main ways to get help paying for coverage are through MassHealth (Massachusetts’ Medicaid program), ConnectorCare health plans, and tax credits that lower your monthly insurance premium. All applications for help paying for coverage can be submitted through MAhealthconnector.org, or by filling out a paper application that is used by both the Health Connector and MassHealth. Who can qualify for help paying for health insurance? How is income now measured for determining who can get help paying for insurance? Eligibility for help paying for insurance is no longer determined by your gross (total) income. Under national health reform, Modified Adjusted Gross Income (MAGI) is now used instead. Under MAGI you can factor in business expenses that you write off for tax purposes (your Schedule C losses) when calculating your income. This means that many more people may qualify for help who might not have been able to get it in the past. Most people can look at their adjusted gross income (line 37 on their income tax return) to see what their MAGI number will most likely be. This is an important change to understand for those who are self-employed or have combination income sources that include self-employment income. When can I apply for coverage? You can apply during Open Enrollment and any time of year if you meet certain requirements. Do I have to buy through the Health Connector if I want to get help paying for insurance? Yes, help paying for insurance through tax credits and low-cost ConnectorCare plans is only available through the Health Connector. 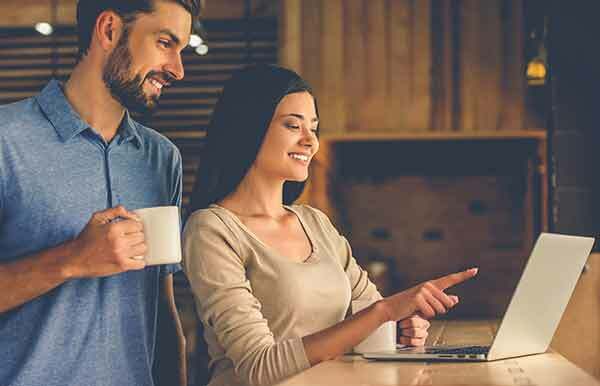 Even if you enroll in a plan without help paying for it through the Health Connector, if you end up qualifying for a tax credit based on your income for that year, the IRS will let you to claim the tax credit when you file your taxes at the end of the year. But the tax credit is not available for someone who buys a plan outside of the Health Connector. You can also apply through the Health Connector website at MAhealthconnector.org to see if you qualify for MassHealth coverage. What if my income changes during the year? How will that affect my eligibility for a tax credit? It’s common for income to change throughout the year, particularly if you are self-employed, have a seasonal job, or more than one job. To get the most accurate tax credit amount, you should let the Health Connector know if you have any income changes during the year, as they happen. If you expect your income to go up during the year, you may want to consider changing the amount of tax credit that you apply to your monthly premiums, so that you take less than the full amount available to you. If you use your tax credit during the year and your actual income is over the amount that makes you eligible, you may need to pay back some or all of the credit. You always have the option of waiting until you file your taxes next year to take the credit on your tax return, instead of applying it to your premiums in advance. This may make sense for you if you aren’t sure what your income will be for the year, and are concerned about having to pay money back at tax time. You can explore the information on this website or call Customer Service at 1-877 MA ENROLL (1-877-623-6765) or TTY: 1-877-623-7773. For in-person help, you can work with a Navigator or a Certified Application Counselor at a local hospital or community health center. These are people who have been trained to help you apply through the Health Connector. For a list of people in your area, got to the Enrollment Assister Search or call Customer Service.